In a letter to shareholders today, Tesla confirmed that shipments of Model X is on schedule for a September launch. 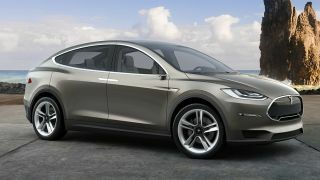 Model X is Tesla's first (and long-awaited) SUV model, with the car-maker claiming it to be the first electric vehicle with towing capacity. The SUV is set to have seven seats, a dual motor all-wheel drive system, semi-autonomous technology, and 'Falcon Wing' doors, as well as giving buyers three battery power options – 60kWh, 85kWh and 85kWh. While Tesla is hoping to deliver 55,000 Model X SUVs by the end of the year, the company is still in the midst of validating and fine-tuning its production process. Tesla is also targeting to ship out 50,000 of its latest Model S car by the end of the year, but as both models will be sharing the same production line, Model S could be delayed if there are any production issues with Model X. "Simply put, in a choice between a great product or hitting quarterly numbers, we will take the former," the company said in the letter. "To build long-term value, our first priority always has been, and still is, to deliver great cars."